I don't have kids but my friends do and lately the conversations at lunch have revolved around schools and how some of the more progressive institutions adapt their style to match the different personality and intelligence types. This is fabulous because kids excel in different areas, and if we only test them in one, we'd be doing a huge disservice to their talents and to their self-esteem. If we look at natal astrology for clues, we can also see how each of the 12 zodiac signs assimilates information in a specific way. 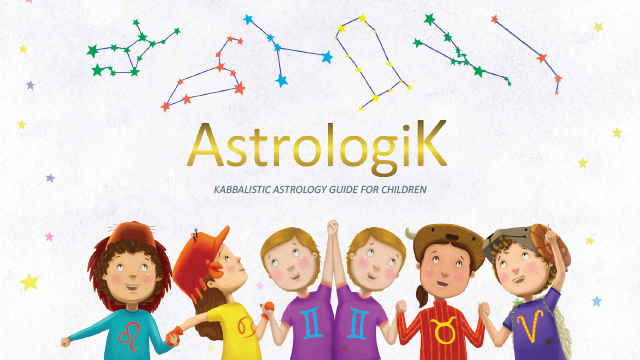 We can then use astrology to tailor the learning experience to each child's needs, though it may be easier for parents to take this approach at home with their own children. These are based on the Zodiac, as each of the signs has a way of learning and communicating themselves. When looking at a natal astrology chart for clues, we look look to Mercury, the planet of communication, and not the Sun. So for example, if a child has Mercury in an Air sign, then words, logic, and verbal interactions will be hugely important. That child may need to talk through ideas to fully understand them. Kids with Mercury in Fire signs may learn best in creative environments where passion and initiative are rewarded, wanting to share their work with others. Those with Mercury in Earth signs like Virgo or Taurus may be quieter and perhaps slower but more precise. When they understand and learn a new concept, it is learned for life. Most of my natal astrology readings have been for adults who want to know more about their Life Purpose and their talents. But I have read charts for quite a few kids recently (usually, the mom wants insights on how to approach a little firecracker, as kids with lots of Fire seem to be frequent clients). I am looking to do more readings that focus on family dynamics and on children in particular - please get in touch if you would like a reading. The children would need to be at least 3 years old and as this is an experiment of sorts, I will be offering the family astrology readings at a special rate. Details below! Option 1) A Full Reading for Mom or Dad + 2 Child Summaries. Here we'd do a full reading for one parent and also a summary of the children, focusing on elements that can help the parent redirect their efforts so that the child's natural gifts are better able to blossom. Full readings typically last 60 minutes, adding 10-15 minutes for each of the children. This one is offered for the standard price: 60 USD, with bonus readings for kids. Option 2) Family Dynamics Reading: Here we look at what each family member needs to feel secure emotionally, how they think and communicate with others, and if we have time, each person's life purpose and karmic placements on a macro level. These may overlap; we often see kids who help their parents see their life purpose in practice, or vice-versa.